I just finished reading The Trilisk Hunt by Michael McCloskey. Excellent. 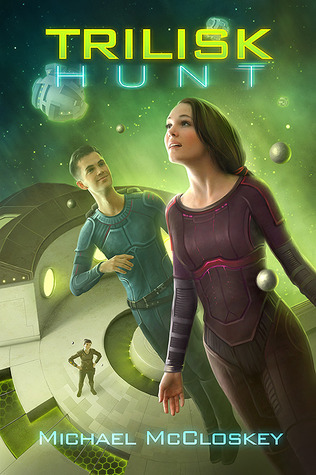 I really enjoyed this latest in the Parker Interstellar Travels series and I think its probably on a par with the first novel in the series when it was fresh. If anything, I'd say it was a little short and I would have liked more complexity, but as a read, it was tight, enjoyable and had lots to hold the interest. In particular, this one improves on general character development from previous novels. The first few chapters were introductions for some new cannon fodder, I mean, characters, all being recruited for the PIT team. While this style is not new, it was definitely effective with each newbie having their own motivations and colour. McCloskey excels with new alien life. In particular I enjoyed the Trilisk descriptions of annoyances of being inside a human host, and the very alien life the team finds in their latest mission. The tech was fun, plenty of big weapons, and use of their newly discovered Trilisk tube cloning. Also, cloning means you can have more character deaths right? Only, it didn't quite pan out the way I thought it would. Good stuff.